Show your home and your wallet some love with these sources to find free art online. It's as easy as finding a photograph, print, poster, drawing, map, quote, or watercolor you love and then following a few simple steps to get that art on the wall. These free art downloads can be used in your living areas, offices, nurseries, kitchens, kids' room, bathroom, and any other room in your home to add some color and interest. They look just as good as prints you would buy, but these are free and you can have them up within the hour. When you've found some of the free art online that you'd like to print, make sure you download the highest resolution that's available. This will get you the clearest picture and a quality that you may be able to blow up if you'd like. I suggest printing on a good quality cardstock to get the best look. 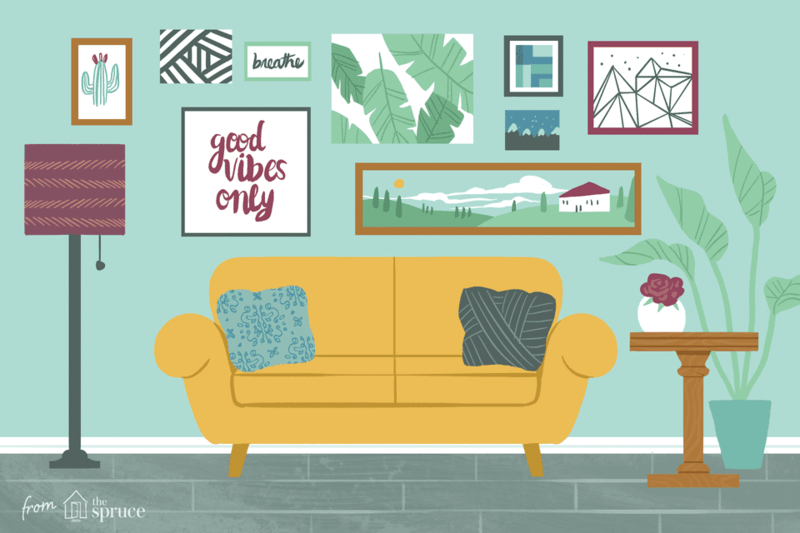 You can add these free art printables directly to the wall with thumbtacks or tape and they'll also look great in a frame. It's easy to find good quality frames at garage sales, thrift stores, or discounts stores if you're looking to save even more. Don't be limited to hanging this free art on the wall, you can print them on normal computer paper and use them as wrapping paper or as homemade cards. 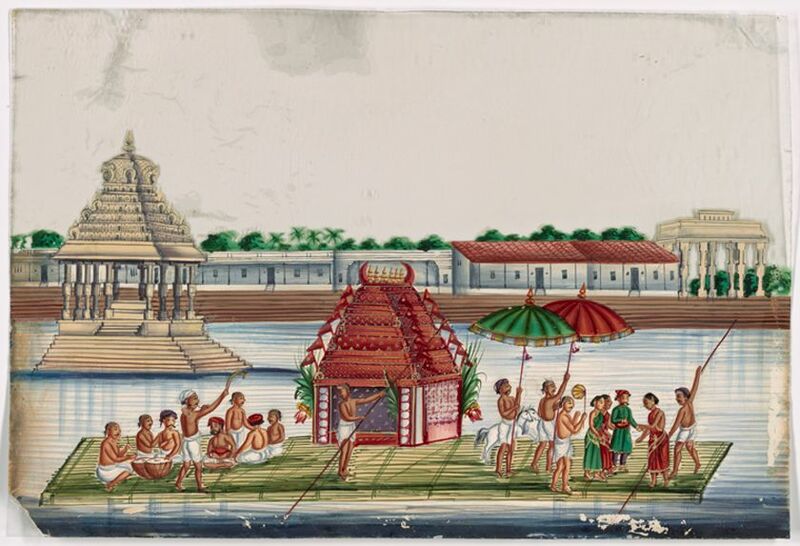 The New York Public Library has an online digital collection that has more than 715,000 digitized prints, photographs, maps, and manuscripts, with more being added every day. More than 180,000 of these items fall under public domain meaning that you can print these items all legally and display them however you'd like. It's a great way that you can find free art online and these images can be used in photo galleries or as stand-alone statement pieces. You can search through the collection by keyword, by recently added items, or browse through the categories that include collections about nature, fashion, history, posters, and book art and illustrations. If you're not sure what you're looking for, I recommend using the visualizing tool, which is a great way to quickly spot an image that speaks to you in a certain genre, century, collection, or color. When you go to download your free artwork, you can get the images in small, standard, or high-res. I recommend getting the largest image available since you'll be printing. Oh So Lovely has dozens of printables she's created that include word art, florals, abstract, holiday themes, animals, nature, nursery prints, and many others. She even posts round-ups of her printables that would look great grouped together to form an almost instant gallery wall. This a collection of all of her free printables so you'll also see some printable cards and other items while you're browsing. There's really artwork here for any style, no matter if you're looking for something fun or something to impress. Click on the thumbnail of the art you like and then use the download link to get the highest resolution image. It will open as a ZIP file with either a JPEG or TIF file inside. Feed Your Soul is a collection of artists who are offering their artwork, to you, all for free. It's completely legal for you to use for your personal home and it's a breeze to print off. There are some unique pieces of free art here including florals, abstracts, drawings, watercolors, digital art, and more. To print, just click on the image and a PDF file will open. You can print directly from your PDF program and then frame the image. The Library of Congress has a digital collection which is also a great place to find free art online. They have almost 300 collections, with dozens of images in each, that you can browse to find a great new piece of artwork for your home. The files are organized by subject, such as American History, Art & Architecture, and World Cultures & History, and also by original format, such as photo/print/drawing, or book/printed material. There are also a ton of maps that would look great hanging on a wall. You can download the images here in JPEGs or a TIFF file. I recommend downloading the largest image before printing. The USDA has some special collections that lend themselves nicely to free art. There are digital printables of photographs, nursery and seed catalogs, rare books, posters, and manuscripts. Chicfetti has 240+ free art that features abstracts, animals, fruits, quotes, florals, holidays, food, and much more. The images here are appropriate for living areas, kitchens, offices, bedrooms, kids' rooms and nurseries, and just about anywhere else you have a wall that needs some pizazz. Note: You will need to unlock the download by liking or sharing ​them on social media. Once you've done that, the printable will be unlocked and you can download and print. If you're looking to fill your walls with beautiful and free photography, you'll want to stop and look around Morguefile. These are free stock images, and there are 350,000+ of them and you can print them out or use them online. To find the images at Morguefile you can sort by popularity, recent, last downloaded, and most downloaded. You can also use the search bar at the top of the page to enter a keyword. The size of the images at Morgue file vary but most are plenty big for you to print out and hang up. Try signing up for their Morguefile monthly image packs, where each month they will email you a curated email of some of the best images from the past month. Little Gold Pixel has a great collection of free printables she's created that makes an easy addition to your free art collection. You can search by keyword or browse through the large handful of images that include quotes, abstracts, and prints that highlight nature, holidays, and more. She also features gallery walls that link to all of the printables and they are all free. This is such an easy way to get an instant gallery wall that's already been designed for you. The downloads come as a PDF file, making it quick and easy to print them. Make + Tell has 5 pages full of free printable wall art that is cheerful, colorful, and clever. These printables are great for a nursery, office, and just about any other room in your home. There are also a few free DIY art projects here so you can learn how to put your own personal spin on the artwork before you hang it on your walls. It's very easy to download the free art posters here, they download as PDF files and a newsletter subscription is not required. Burlap + Blue has more than 60 free printable wall art pieces that include motivational posters, watercolor art, colorful and silly printables, sophisticated prints, and lots of name art. There really is something for everyone here! All the free printables here are JPG's that you can simply print right from your computer and hang on your wall.